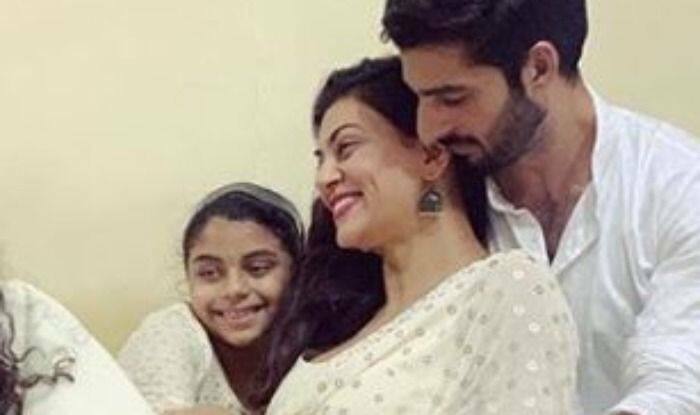 Sushmita Sen who is very active on social media and keeps sharing adorable pictures with her family, recently shared a video where her beau Rohman Shawl participates in daughter Alisah’s school sports day. Sushmita and her boyfriend Rohman never shy away from displaying their affection for each other. Sushmita who is a proud mother of two keeps sharing pictures and videos of her daughters Alisah and Renee Sen having a great time with Rohman. The actor recently took to her Instagram to share a couple of videos from Alisah’s school sports day where Rohman can be seen taking part in a race while Sushmita cheers for him. Sharing the video, she captioned it, “What a MAN!!! Better yet, THAT’S MY MAN!!! @rohmanshawl wins the #100mts gold (by a mile) for Alisah in the father’s race!!! what a day I am having!!!! Thank you maa @pritam_shikhare for capturing this moment & the cheering of course!! I AM SOOOOOOO HAPPY & PROUD of my little shona & my Rooh!!! #sharing #happyfeelings #pride #alisah #sportsday I love you guys!!!!”. Sushmita shared another video from where Rohman can be seen cheering for the Alisah. Sushmita captioned it, “ALISAHHHHHH #100mts by a MARGIN!!! First time I saw @rohmanshawl with tears in his eyes, as he yelled & yelled her name to the finish line!!!! awwwww!!!! SOOOOOO PROUD OF YOU ALISAH!!! #munchkin #sportsday #killingit I love you guys!!! #duggadugga”. All these videos show that Rohman shares a great bond not just with Sushmita but also her two beautiful daughters. Earlier, Sushmita shared a beautiful video from a wedding where Alisah can be seen practising her flower girl walk with Rohman. Taking the video to her Instagram, she wrote, “#this Alisah practising her #flowergirl walk with Rooh @rohmanshawl #clintwedsfatima #mountmarychurch #godislove #duggadugga I love you guys!!! #blessed”. Sushmita who has done many successful films is staying away from the big screens as of now. However, the actor is looking for some good projects to make a comeback. In an interview to news agency IANS, Sushmita said, “(I am) finally reading a lot of scripts and I really like two. I will tell you when I am close to signing it”.